Oh no! The haze is back! It’s the haze ‘season’ again. Open burning and dry weather spells is truly a very bad combination. 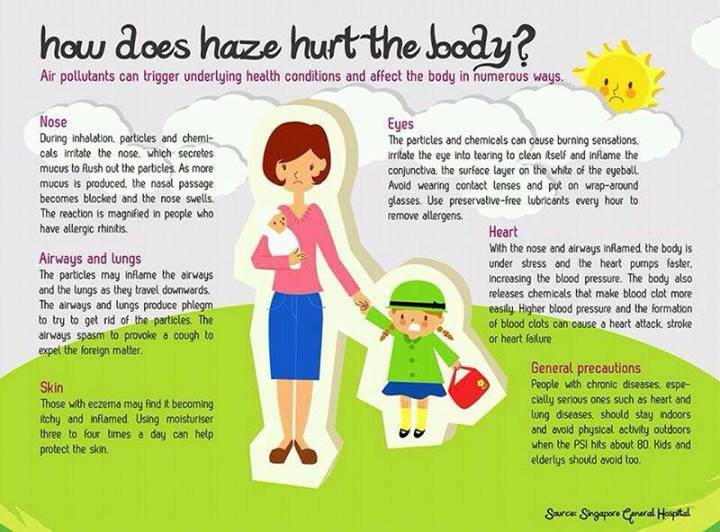 Here’s a few things you need to know about how the haze affect us all as individuals. Do take note, take precautions and do your best to stay in doors. This entry was posted in Health and tagged effects of haze, haze, health, precaution by Miss P. Bookmark the permalink.